Ahh, culinary school. I miss going to culinary school. Exciting and intimidating at the same time. Wearing crisp white chef jacket, that stupid cap, and apron... Posing in front of the mirror, feeling like a masterchef. Anticipating a fun cooking and/or baking lesson ahead in the commercial kitchen set-up... And wondering how we're gonna survive without injuring ourselves with the super sharp knifes and machineries, or being screamed at by the Chef instrutors... Sigh... memories. I mentioned before in my previous post that I quitted from my boring desk-bound job last year to embark into an exciting journey of the culinary world. Well, after 4 years of of doing the same admin task over and over again (most of the time being distracted with many thoughts of food), I guessed it's better for me to quit before I went mental. I felt a little pinch though... because my salary wasn't too bad. But I tried to convince myself that it wouldn't hurt to try. If it didn't go well, I could just go back to doing admin job again. Haha!! I did some research on culinary schools that offer short professional baking courses, and after much thought I decided to apply for a certificate programme at At-Sunrice GlobalChef Academy. And so my 2 months of studying Certificate in Pastry and Bakery began! These were the cool stuffs that we're given on the first day of school: 2 sets of chef jacket uniform, apron, cap, towel, the tool kits, a handbook and a diary! Yes you can keep all of these after you're done with the programme. The course comprises of theory lessons in the classroom for a month and practical lessons in the kitchen for another month. In theory lessons we're taught about the importance of maintaining a safe working environment in the kitchen, safety food handling, the different type of ingredients used in baking, the science of baking and etc. Yeah it sounded kinda boring... But I surprised myself for not feeling bored at all throughout the whole month of theory lessons! That's what passion do to you. Turn you into an ultimate geek. The real excitement began when the practical lesson started. But the rules in the kitchen were quite strict. We had to give our undivided attention during lessons and were warned to take it seriously. No fooling around. Or else we would be at risk of being scream at. Or worse still, get kicked out from the kitchen! I remember laughing out loud during one of the lessons, and I was given a deathly stare by my chef. Chefs are very scary people! Firstly we're introduced to the different kinds of tools, equipments and machines that are normally used in commercial kitchens. The meat slicer frightened me the most. The chef told us many accounts of accidents that happened in the kitchen before, especially the ones that involved the meat slicer, and all I wanted to do was close my ears and went LALALALALALA~!!! The first hands-on that we learned was the knife skill basics, and the four different cuts (refer to the photo above): Medium Dice (the cubes), Batonnet (the fat sticks), Julienne (the thin sticks) and brunoise (the super-mini cubes, that somehow reminds you of Bruno Mars). Actually there're a total of 9 cuts under the knife skill basics. But since this was a certificate programme, we're only taught on these four cuts. Thank God. Do you know how many times I felt like screaming while practicing on these four cuts only? To test our knife skills further, we're told to cut different types of fruits and create our own fruit buffet. As you can see from the photo above, my team tried some funky pattern cuts. My chef snickered when we presented our plate. Next! It's cooking time! You have no idea how happy I was to start cooking in a commercial kitchen! Cooking pancake at home is, without a doubt, a very simple task to do. But when it came to cooking in such a big kitchen, I suddenly felt quite lost. Haha! When we're commanded to prepare the Mise en place for the pancakes, my classmates and I were scurrying around like lost chickens looking for the right tools/equipments/ingredients to bring to our respective table. It must be a very funny sight to our chef, because she was having a field day laughing at the way we work. After every practical lesson ended, we had to clean the kitchen by ourselves. That was my least favourite part of school. Especially when the drainage got stuck, it really dragged us down. And all areas had to be spick and span before we're allowed to be dismissed. Bleargh. Yums. Now I feel like having a pancake. There're times when we had to work in teams or individually. Honestly, I preferred to work alone most of the time. There're always the few stubborn ones who refused to be receptive to their team mates' ideas and decisions, and expected things to go their own ways. I couldn't count the number of heated arguments that erupted in the kitchen. And as we're in the kitchen, the arguments could be quite intense sometimes. I mean, there're knives everywhere. Anybody could have lost their temper and use it as a weapon.. hehe. Fortunately, all arguments ended quite well, even though the problems were not settled and both arguing parties decided not to talk to each other ever again. Anyway, on a brighter note, there's also a lesson on dessert plating. And my proudest moment was when my chef complimented on my plating design (below) and showed my masterpiece to the whole class! Next, our practical on whisking and piping skills: We learned to whisk the egg whites manually (until both of my hands were about to fall off) and also piping of cake batter in swirling/circular/straight motion. The ones that we did individually were the Challah bread and the French apple tart. All the recipes given were marvellous! Not to forget, our traditional Chinese and Malay kuehs/confections were also part of the module in the certificate programme. Yes, believe it or not, all the desserts from the photo above were pre-mix and bake-off products. Our chef taught us to decorate the pre-mix sponges/cakes/mousses so beautifully that they turned out to look like they were made from scratch. Awesome huh! Unfortunately we didn't have the privilege to do hands-on on chocolate tempering. The hands-on tempering module is only for the Diploma students. But we did learn some theories on how to temper the chocolate correctly. For this module, our chef did the tempering for us and we learned to form the tempered chocolate ganache into truffle balls by using the ball mould, and once the balls hardened, we coated them with snow powder/cocoa powder/more ganache. And we got to eat all this. They're crazy delicious! At the end of all the lessons, we had to take final exams in order to be awarded with the certificate. For my class, we're tested on our knife skills (the four cuts), whisking and piping skills and the pre-mix module. The knife skills test was the most challenging. But our chefs were quite lenient with his marking, so all of my classmates and I passed!! Turkey Bacon Cup and a change in this blog. Okay I'm back. Like again. Hopefully not to vanish again for another year. lol. Like what I've said from my previous post, I really wanna be back for good! I don't wanna disappear anymore! I love blogging! Anddddddddd I've also decided that, in order to constantly update this blog , I should turn this blog into more than a food blog. I wanna start blogging about my personal life again. Yes I know. How boring can that be? But I think I'm better off writing about my life than about food. My writing on food is awful. But I will still continue to post recipes in this blog and retain this blog's name as confectionery queen. Add a small amount of cheese to cover bread on each piece. Crack egg and place on top of bread, making sure you don’t break the yolk. Cook at 400 for about 12 minutes. You might want to cook longer depending on how you like your eggs cooked. Crackle Cookies & the 8th Day of Ramadhan. Putting my health issue aside, I've been on the roll to bake as many assorted cookies as I can for Hari Raya! I have a lot of time to bake now, since I'm not working at the moment. Woohoo! (I'll try to ignore the fact that I won't be getting any sort of income every month now. :D). I've experimented with a number of new cookie recipes, and of all the cookies that I've made, I'm very impressed with this one: Crackle Cookies!! So simple to make, yet so delicious to eat! I finally gave this recipe a try after reading so many rave reviews about these cookies. And I have no regrets!! They're a cross between a cookie and a brownie. Crispy on the outside, chewy on the inside, with great chocolatey taste. Once they're popped out from the oven, they're gone in minutes! That's how good they are! In a bowl, combine the sugar, egg, oil and vanilla. Combine the flour, cocoa powder, baking powder and salt; gradually add to creamed mixture and mix well. Chill dough for at least 2 hours. With sugared hands, shape dough into 1-in. balls. Roll in confectioners' sugar. Place 2 in. apart on greased baking sheets. Bake at 350° for 10-12 minutes or until set. Remove to a wire rack to cool. Basic Kek Lapis Horlick (Horlick-flavoured Layered Cake)! Kek Lapis is a layered cake which first originated from Indonesia and then introduced commercially to the people of Sarawak. And now it is popularly known as Kek Lapis Sarawak. This kek lapis is mainly served during the festive seasons and special occasions. It is forever a must for my family members to buy kek lapis for Hari Raya. The colours and patterns on the cake helps to brighten up the festive mood! There are also other types of kek lapis with complex, intricate patterns that just simply boggles my mind whenever I look at it. I mean, how do you even do that???? 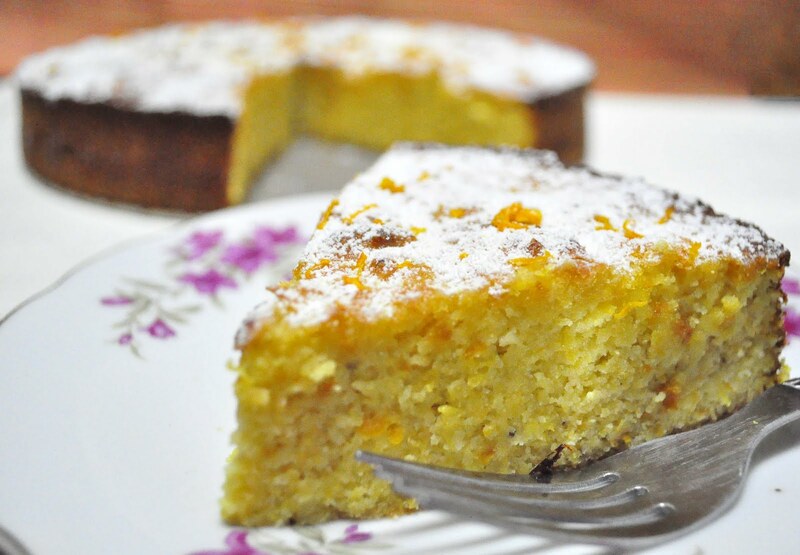 Let me warn you that this is an extremely rich cake that contains enough eggs and butter to clog your arteries. Imagine an 8" X 8" size of this cake can contain up to 27 eggs and around 600g of butter! Sounds suicidal enough. But it doesn't stop me from eating a huge amount of it. The dense, rich and creamy texture of the cake is just too addictive. Simply melt-in-your-mouth goodness! So, after much searching on the Internet, I've finally found a basic horlick-flavoured kek lapis recipe that is novice baker-friendly. A straight forward recipe that helps the novice baker to kick start their kek lapis-making adventure. Thank god this recipe only use 10 eggs! The only thing I would change about this recipe is to cut down the sugar by 1/4. Overall the cake is delicious with intense malted milk flavour, thanks to the Horlick and condense milk. Everyone in the house loves it! I will try to bake with other flavours soon! Using the grilling function (top heat only) of your oven, preheat the oven at 200 degrees Celsius. Line your pan with parchment paper or just grease it with butter. Mix in the eggs, one by one at high speed. If your batter looks curdled after putting all the 10 eggs, not to worry, just continue to beat at high speed until it has come together and resembles a thick batter. Pour in the condense milk and mix well. Mix in the flour and horlicks at slow speed first, and then turn up the speed on high for 20 seconds until the batter is well-mixed. You decide how small or big you want the layers to be. I scoop 2 ladleful of batter into the pan and bake for 6-8 mins in the middle tray until the top appears golden brown (please take note that the top must be brown or else you can't see the layering pattern when you cut the cake). Repeat the layering process until the batter are used up. Once you have done with all the layering, switch your oven into convection / normal baking mode, lower the temperature to 180 degrees celsius and bake the whole cake for 10-15 mins. Remove cake from oven and leave to cool on wire rack. Rose Tea Cupcakes with Rose Honey Glaze. And back to blogging! It feels kinda weird to be blogging again! After 2 years of MIA!!! I wish I could give you a good reason as to why I decided to stop blogging for a while. To be honest, I'd kinda lost interest. I felt that my food writing skill wasn't good enough. And don't get me started on my baking and food photography skills too. So I felt quite uninspired to continue blogging, and decided to take a break until I'm ready to blog again. Well, I WISH I'm ready. Because I do miss blogging about food and sharing recipes :'(. I'm not gonna say much in this post. Just consider this post as a warm up to get the engine started! So what have I been up to these past 2 years? To summarise a little, I quitted my boring admin job at the school in Dec 2011, took two PME diploma certs in Sugarpaste and Sugarflowers Cake Decorating modules, a certificate in Baking and Pastry module at At-Sunrice Culinary School, and worked as a pastry cook 3 in a factory kitchen for a year. I won't go into full details about these yet. Maybe in my next post, if I feel like talking about it... Hee. Okay let's get into these Rose Tea Cupcakes with Honey Rose Glaze. I've just came back from my holiday in Istanbul recently, and I bought a huge packet of rose tea buds at the Grand Bazaar, knowing that I could bake something with it! I saw my pastry cook colleague used it to make cheesecake, and I knew that I had to get my hands on some! Now I wish I bought more! After much thought, I decided to use Baking Perfection's Vanilla Chamomile Cupcakes recipe and tweaked it a little bit to produce my own rose tea cupcakes. And as for the glaze, I used Joy The Baker's recipe. The glaze was quite sweet to my liking, but overall I really love the cupcakes! Everything about these cupcakes transport me back to the Middle East. And my mother-in-law ate 3 cupcakes in just 5 minutes! Well, without the glaze. But I'm really glad that I've found a perfect rose-flavoured cupcake base. I'm so gonna try making Ispahan Cupcake with this recipe soon! In a sauce pan, heat the butter over low heat until completely melted. Add the rose buds and keep over heat for 5 minutes. Remove from heat and let steep for 5 more minutes. Pour butter-tea mixture through a fine sieve pressing hard against the buds to extract all of the butter and flavor. You should end up with 1/2 cup of butter. Let the butter come to room temperature before continuing. Preheat oven to 350 degrees; line the cups of a standard (12-cup) muffin tin with paper liners. In another bowl, mix butter-tea mixture, cream, eggs, vanilla and rose extract; set aside. With mixer on low speed, (or hand whisk will do) slowly add half of liquid mixture to the dry ingredients. Mix well and then pour another half of liquid mixture into the dry ingredients. Mix until well-combined. Divide batter evenly among prepared muffin cups, about 1/4 cup each. Don't fill more than 2/3 full. Put in oven and bake until a toothpick inserted in center of a cupcake comes out clean, 20 to 23 minutes. Cool cupcakes 5 minutes in tin, then remove and cool completely on a rack before frosting. In a medium bowl, whisk together powdered sugar, honey, cream, and salt. Whisk until smooth. Use a butter knife to generously spread the frosting atop the cooled cupcakes. Sprinkle with just a bit of chopped pistachios and arrange on a pretty plate. Cakes will last, well wrapped, at room temperature for up to three days. 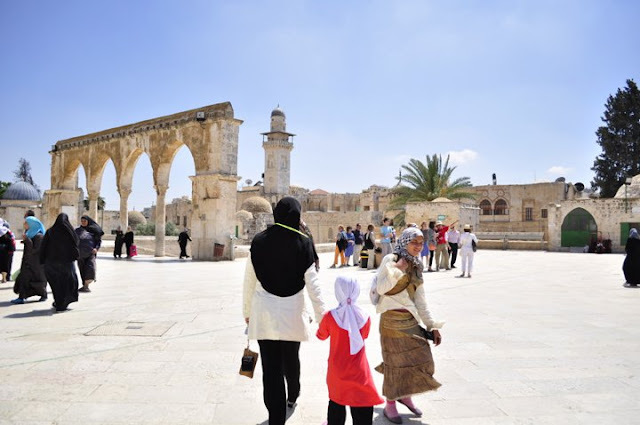 I just came back from my holiday/educational/spiritual trip to Jerusalem, Mecca and Madinah where i performed my Umrah (minor pilgrimage), and i really had a wonderful time at these sacred places! 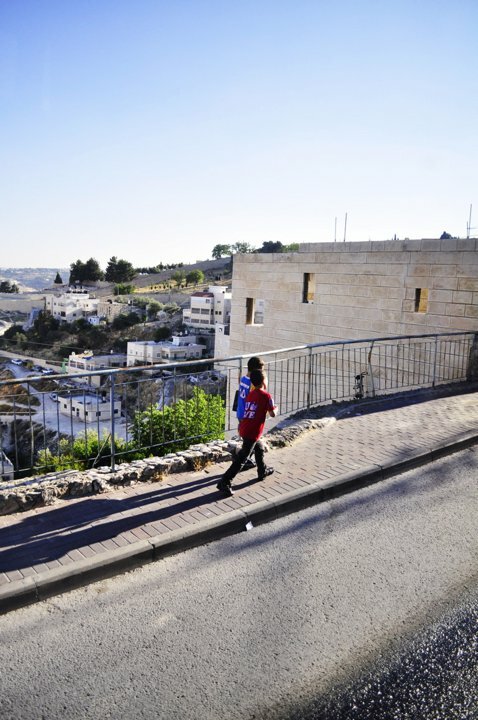 Jerusalem is a beautiful holy city with magnificient views that will take your breath away. Places of worships - Churches, Mosques, Synagogues - are built near to each other in the city.. So why can't we just live together in harmony without any disputes already??!! And I especially love the cold weather..! A good place to escape from the hot and humid weather here in Singapore. I will post some photos of the trip at the end of this post. ﻿Now let's talk about the subject that we love so much. I miss my oven while i was away. No kidding. 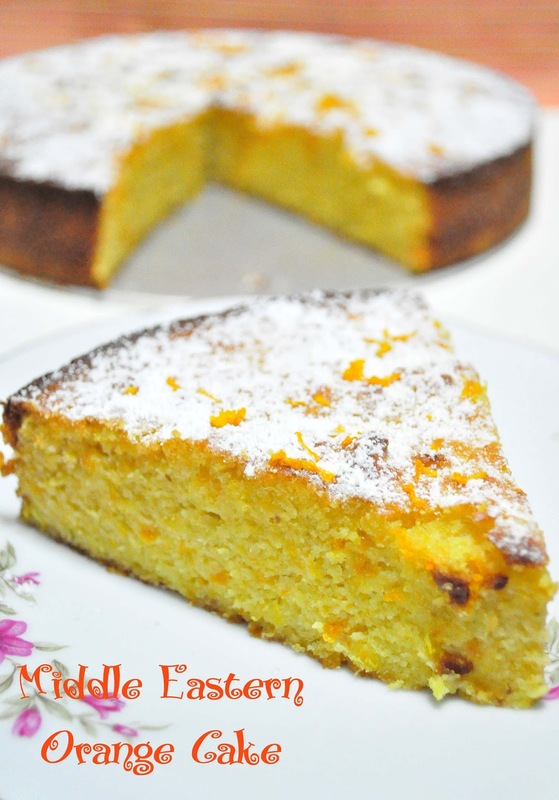 This Middle Eastern Orange Cake is very easy to make and totally gluten-free, as it is made of almond flour instead of the normal flour. The only downside? You have to boil the oranges for two hours. I boiled the oranges for only an hour and it's still fine. You can conclude from here that i have the patience of a saint. Not. The cake may look totally burnt on the outside after being baked in the oven for an hour, , but fret not!! Once you pierce a fork into the cake, you'll find how delicate and moist the crumb is. And it's all thanks to the almond flour! And the citrusy taste is not too overwhelming. Just perfect. This cake is really nice to eat, and most will enjoy it! Boil whole, unpeeled oranges, barely covered with water, in a covered saucepan for 2 hours (you can do this step a day or so ahead of time and keep the boiled oranges, once cooled, in the fridge). Discard water, allow to cool, then cut open, remove the pips (seeds and the whites) and chop roughly or pull apart into smaller pieces with fingers. Preheat oven to 190ºC/170ºc fan forced and line the base and sides of a 24cm springform tin with baking paper. 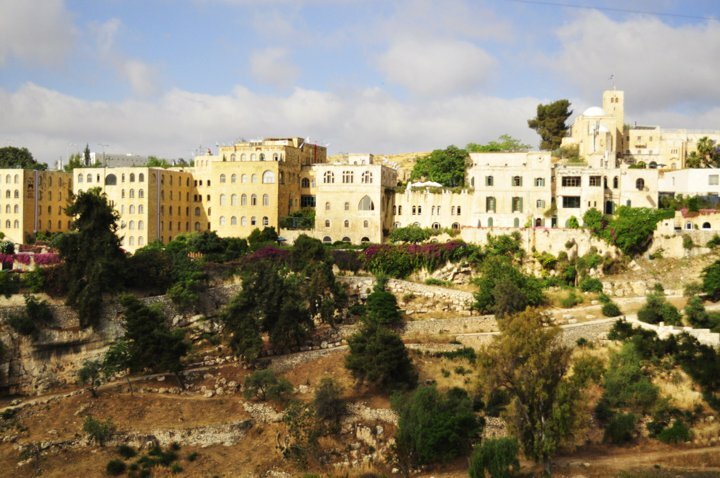 Luxury houses along the hills at Jerusalem. 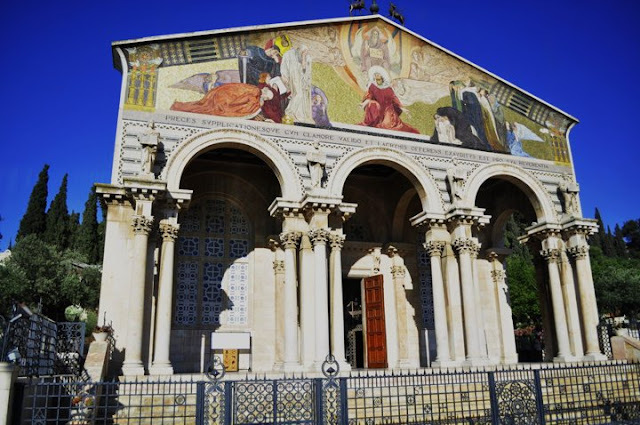 One of the Churches in Jerusalem. 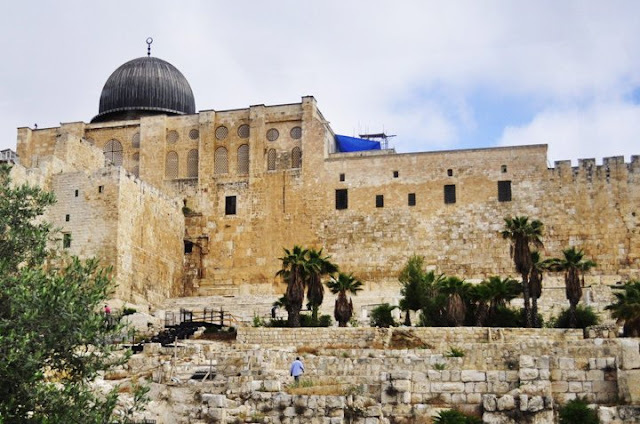 The exterior of Al-Aqsa Mosque. 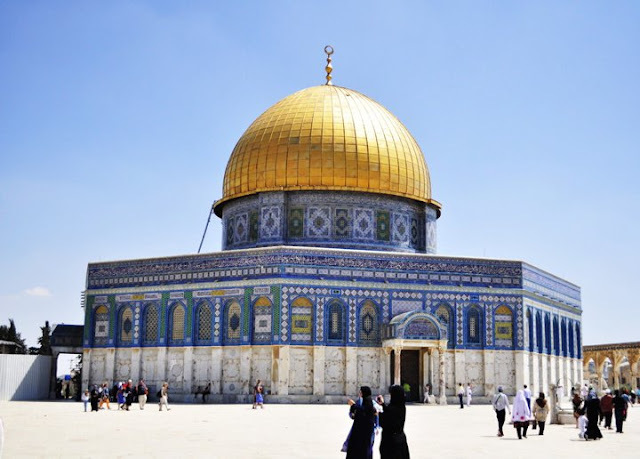 The magnificent Dome of Rock! 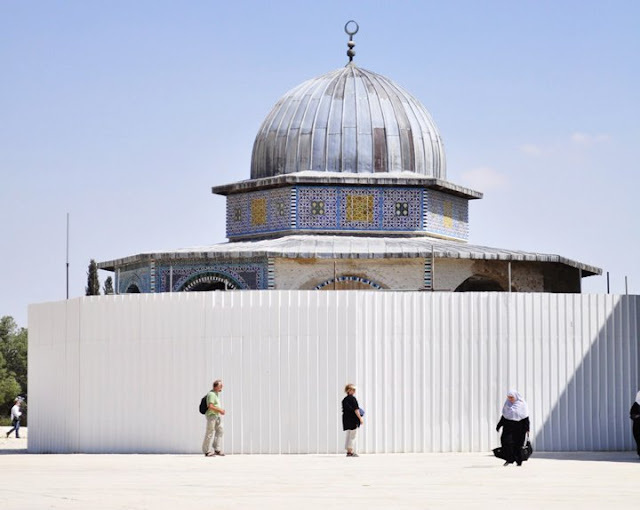 The Dome of Al-Aqsa Mosque. 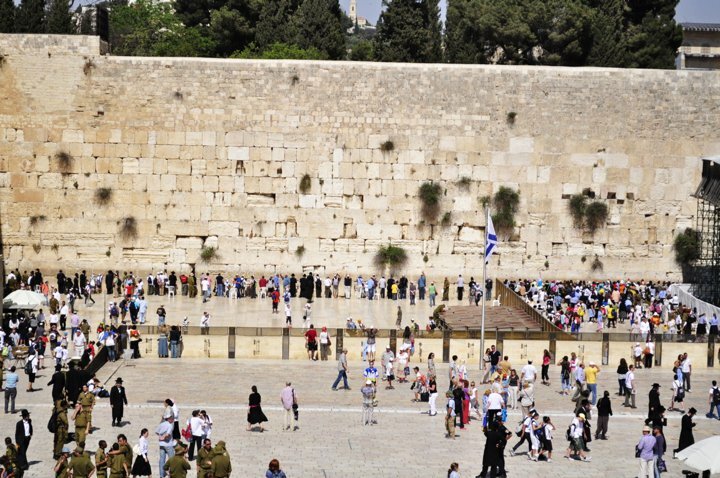 I love the serenity of Jerusalem! 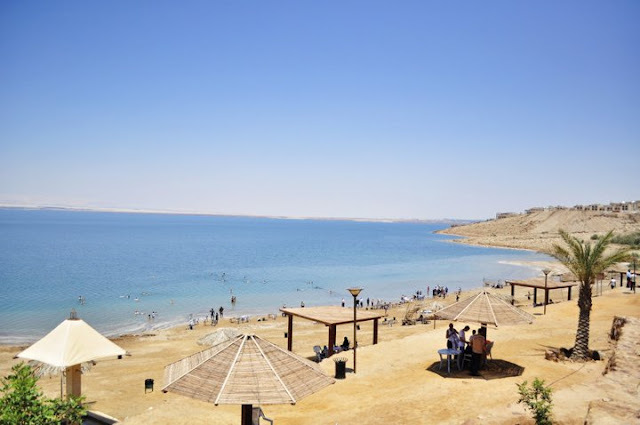 We visited the Dead Sea too. A very beautiful sea!! 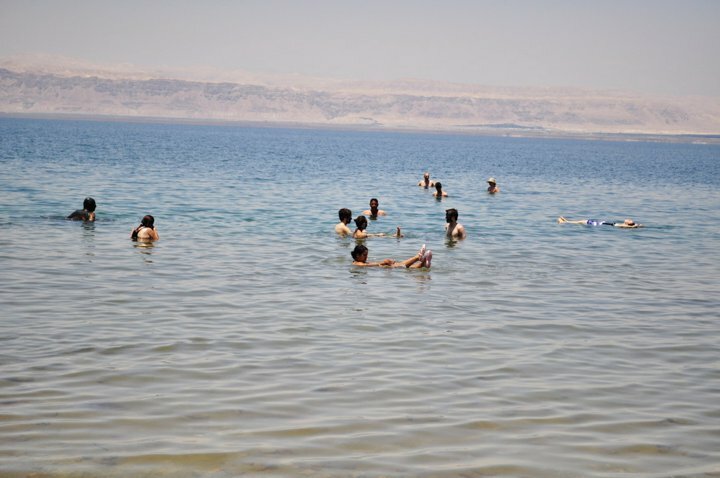 Wish i could float on the dead sea! Hello! Thanks for dropping by my blog. I named this blog 'Confectionery Queen' because of my love for sweeeeeet foods. Heeh. Anyway all the posts here are mainly about foods and my baking experiences. Enjoy!